The naturally advantageous location of Haldia and its surrounding areas make them an apt and suitable destination to explore. Though not very popularly known as a famous tourist site till a few years back, Haldia and its surrounding places are slowly and steadily being recognized as great getaways for a perfect holiday. The region offers a perfect getaway for somebody who wants to spend a peaceful and calm weekend in nature’s lap. One can witness a great range of natural beauty and historical places of interest in and around Haldia. There is greater and improved connectivity to reach Haldia and its surrounding places, and accommodation too is available across all ranges from luxury to budget hotels. For the religiously minded there are temples and places like Gopalijew Temple, Ramjew Temple, and Natshal. 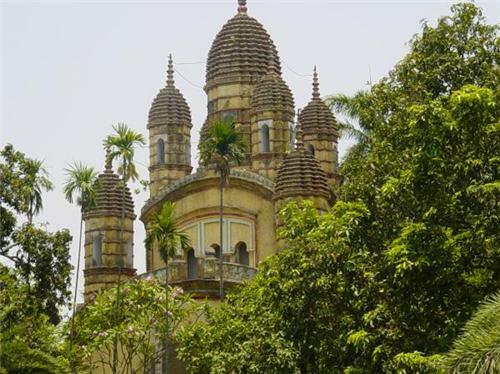 And for the historically inclined tourist on the lookout for adventure and exploration of ancient monuments Mahishadal Rajbari is the best option. Just half an hour’s drive away from Haldia is a small town called Mahishadal. Dating back to 16th century this town is renowned for its monuments and temples. The Mahisahadal Rajbari Estate is very popular tourist place in entire Bengal and is slowly becoming a must visit attraction in the eastern region of the country. Two fine architectural masterpieces of palaces built in this area also draws hoards of moviemakers to this place. It is fast emerging as a favorite location to shoot movies. Goplajew and Ramjew temples are also built in Mahishad Rajbari. Dedicated to Lord Krishna, this temple is also known as Gopalji. One of the sacred places of worship in West Bengal, it was built in the 18th century by Rani Janaki. Built on the banks of river Rupnarayan, this place was the breeding ground for the Ramakrishna Movement started by Sri Ramakrishna Paramhans Dev. The temple here is an epitome of scenic beauty and serene atmosphere. The place also has a rich historic and archaeological relevance and importance as various artifacts dating back to days older than Harappan Civilization have been found here. Nayachar when translated from Bengali simply means a new strip of sandy land. Naya means new, and ‘char’ a Bengali word when translated to English means a strip of sandy land rising out of the bed of a river. This beautiful island is in close proximity to the Sunderbans- one of the world’s richest biospheres. A natural beauty, it is covered with coconut plantations and mangrove swamps. One of the main attractions for tourists here is the boat ride which provides ample opportunities to watch ships, ferries and speed boats plying in the water. Just 21 kms away from Haldia lies the beautiful destination of Kukrahati. With clear blue skies, and blue green water the place leaves tourists spellbound. It is recommended to make use of the ferry services run by Haldia municipality if one wants to soak in the real beauty of this place. This tourist building has a great historical significance. 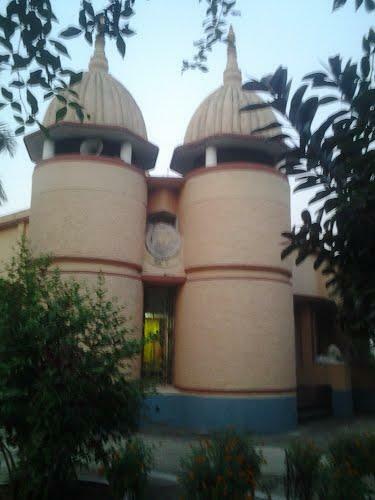 Situated at Tamluk in Midnapore District it has been dedicated to the freedom fighters of Bengal. Started by Surendranath Rakshit as a gymnasium, this place was a popular meeting ground for young men. Slowly, it became a breeding ground for meetings to fight against the British Raj. Famous freedom fighter Khudiram Bose used to hold meetings in this very place. A religiously significant place near Haldia, this island is a famous pilgrimage place for the Hindus. Also known as Gangasagar, this place witnesses huge crowd of believers during Makar Sakranti to take dip to take a dip at the confluence of the holy Gages and Bay of Bengal. The Gangasagar fair and pilgrimage which is an annual affair draws huge crowds which is second only to the crowd drawn by the famous and holy Kumbh Mela. A very popular and must visit religious tourist spot in West Bengal. A trip to West Bengal is not complete unless one visits the popular sea resort and tourist place of Digha. It is also called as the Brighton of East. Just 71 kms away from Haldia, the road drive from Haldia to Digha is a treat to the eyes. For the nature lovers, they will have ample time to enjoy the picturesque farms and the sight of the Haldi River. Do not confuse it with Udaipur in Rajasthan. A relatively unexplored beach in the West Bengal-Orissa state border, this is a beautiful and spectacular virgin beach. The beauty of this beach is truly unparalleled wherein one can find the typical vegetation of slopes in Eastern Ghats.One can also witness the Subarnrekha River merging into the Bay of Bengal in the nearby delta. Another virgin beach town which can be found just 14 kms to the east of Digha.. It is approximately 83 kms away from Haldia and it takes around 2 hours by road to reach here. Two things can be said to be the drawing feaures of this place- fishing and temples. 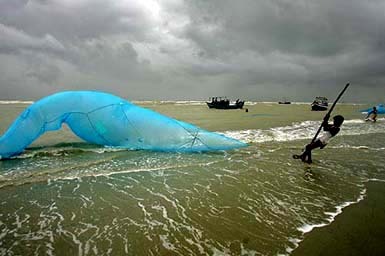 It is a regular fishing harbor and innumerable fishing boats can be seen on the coast during the course of the day. Excellent venue to click some magnificent photographs, a must visit for the budding nature photographer in you. Yet another virgin beach on the Bay of Bengal located near Digha and Haldia. It also has a small fishing harbor. Of late, it has become a favorite and popular sea side destination. It is one of the fastest developing seaside tourist destinations in West Bengal. Approximate distance is 172 kms. It takes around 3.5 hours to reach by bus or road from Haldia.